Step 1 Heat butter and oil in a Dutch oven over medium heat until the butter melts. Add onion and celery; cook, stirring occasionally, until softened, 4 to 6 minutes. Add garlic and thyme (or parsley); cook, stirring, until fragrant, about 10 seconds. Step 2 Stir in peas. Add water and broth; bring to a lively simmer over high heat. Reduce heat to maintain a lively simmer and cook until very tender, about 1 minute. Step 3 Puree the soup in batches in a blender until smooth. (Use caution when pureeing hot liquids.) Stir in half-and-half (if using), salt and pepper. Make Ahead Tip: Cover and refrigerate for up to 4 days or freeze for up to 3 months. Note: Chicken-flavored broth, a vegetarian broth despite its name, is preferable to vegetable broth in some recipes for its hearty, rich flavor. Sometimes called “no-chicken” broth, it can be found with the soups in the natural-foods section of most supermarkets. 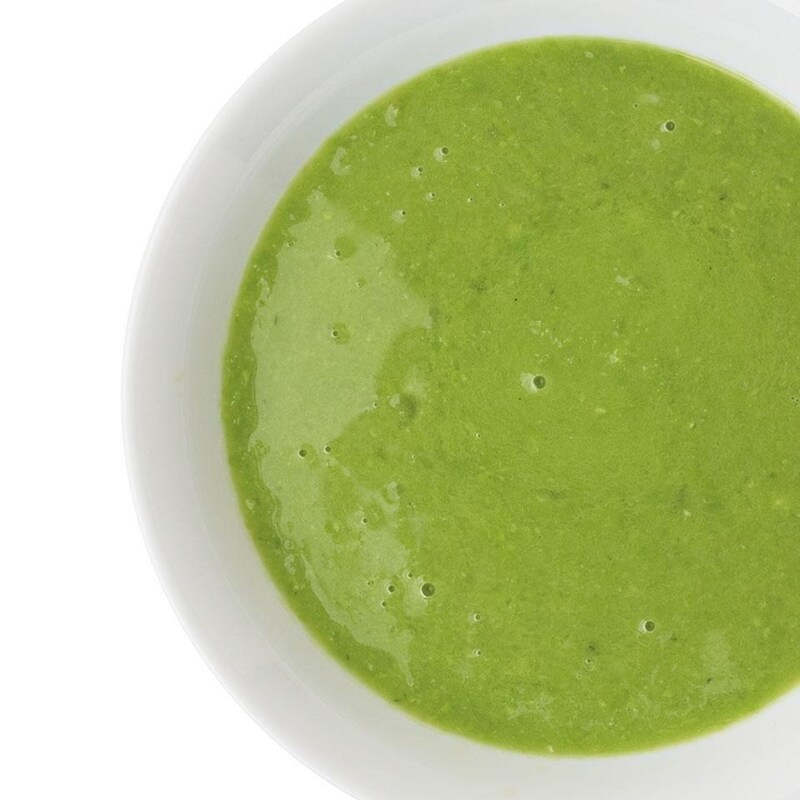 A simple pea soup makes an elegant start to a spring meal. It's also a great way to use frozen vegetables when the produce section is looking bleak.